On the Internet you can chat with friends, find useful information, have fun, listening to music and playing. You can even make video calls to your friends using special sites and programs. Also via the Internet actually make calls to mobile and landline phones. Calls to cell and landline numbers cost money, but with this guide you can learn how to call via Internet for free. On the Internet there are many sites that allows you to chat calls free not only network users, but also with subscribers of mobile and urban telephone networks. So, call for free to any place in Russia and abroad from Calls.online. 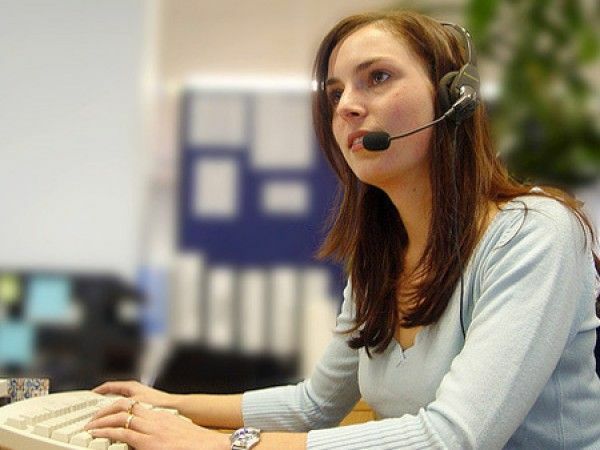 To make a call, you must connect a microphone to your computer, a webcam and headphones to install the Chrome browser and register on the website. A necessary requirement is the PC operating system Windows 7,8, XP. For a call you need to dial the number in international format and press Enter. A day you can call once and talk for one minute. Through the online portal Zadarma.com you Can make free calls to landline phone numbers in Moscow and St. Petersburg. In no-charge package includes 100 minutes per month. You can also call your cell phone once registered, each user receives advertising fifty cents on account. The website also has a list of countries that you can call without cost, it is constantly changing. So if you have loved ones abroad, you may not spend money on calls to them. To call via the Internet free on your mobile phone and from the website TalkTube.ru if you register a new account. On the bonus 5 rubles you can make a call to any number. Many foreign countries, including Ukraine, you can get through without spending money from the site call2friends.com. If you want to call mobile, free call duration will not exceed 30 seconds. Unfortunately, to call on the phone over the Internet in Russia with this portal for free is impossible. With computer through the Internet calls can be made not only with websites, but also through special programs. Basically, they can communicate through voice and video with anyone who also has accounts in these applications. Through most of them provides a set of paid services that allow you to communicate with subscribers of mobile and urban telephone networks. But well attract customers, the developers organize a variety of events, offering users to make free calls over the Internet to the phone on different days in different areas or charge money for the sample of calls during the registration. So, Mail.Ru Agent gives 10 rubles to set, SipNet.ru. You can spend$ 1 on test connection and the ability to call certain destinations for free, bonus are popular in Russia, the Skype. If you are the owner of a modern smartphone, you can also call phones for free through the Internet as most of these programs have apps for mobile devices. Thus, the choice of sites and programs with free calls is large enough. To avoid confusion in sentences and to find a decent option, you can use a special service BetaMax. With it, you can select and download the program for free communication. It helps to track relevant information about where and on what terms you can call via Internet to mobile and landline phone for free.